Return & Refund dian1Refund or replacement request is available only the requests within 1 week after parcel received & returning the item as the same condition as received. dian1Please contact us to request a return authorization. Your name, auction number, and reason for return should be included in the email. All items returned must contain all original packaging materials. dian1Please repack the item carefully. Items returned will be tested and a new replacement will be shipped to the buyer immediately when found defective. In the event that a suitable replacement is not available then a refund will be issued. Shipping, handling and insurance fees are non refundable. dian1If the item is found non-defective, the item will be sent back to the buyer at buyer's expense. Items returned without RMA number will be refused and returned to the sender. Buyer is responsible for All Return Postage and Shipping Charges. Buyer is responsible for additional shipping costs for items that are returned refused and/or undeliverable. We do not accept any returns without an authorization number on the box or label it is being returned in. Our working time: China time :Monday to Friday 9:00 am to 5:30 pm. 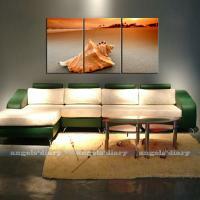 2) We offer price quote for the print on canvas .You send us full payment ,then we starting print. 3) The best shipping service offered, Shipment terms can be made according to your instruction.